All 3rd-6th graders are performing! 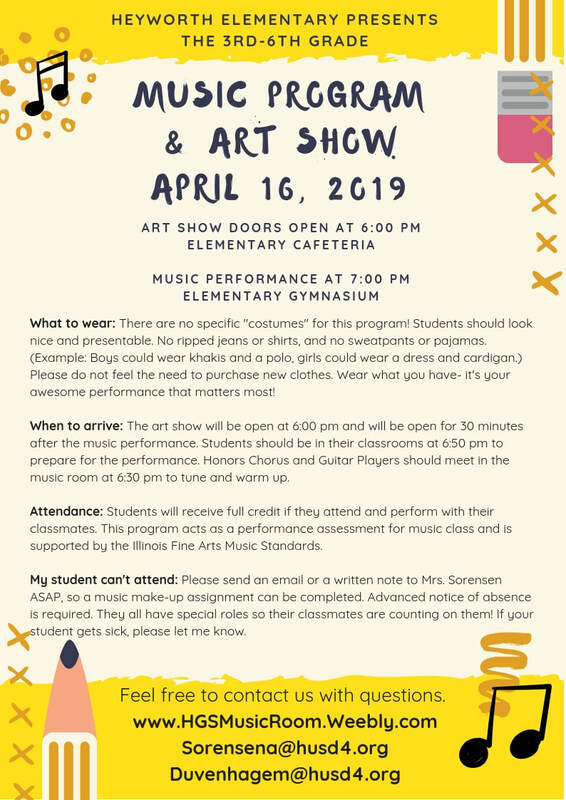 Remember that this is a required school event and is part of the state standards for fine arts. 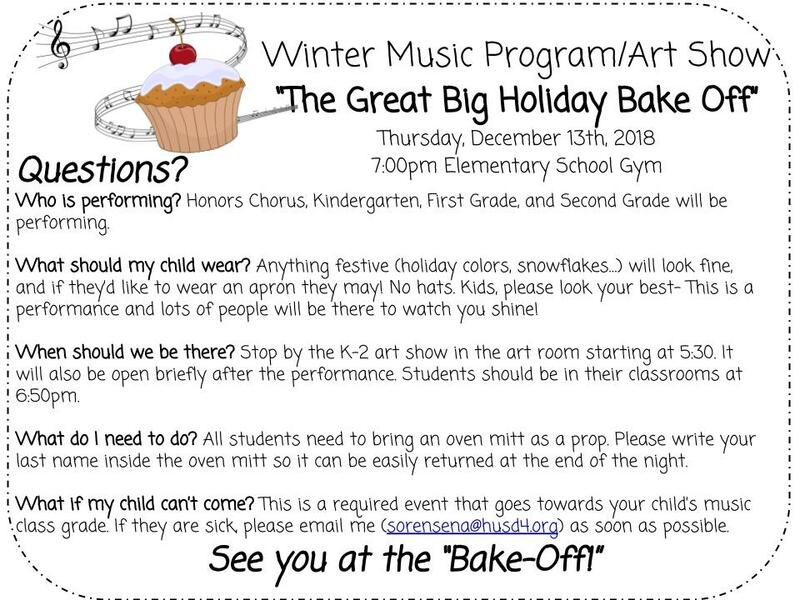 If I haven't received an email or call about an absence prior to the program, then no make up assignment will be given, and students will receive no credit for the performance. Just not "wanting to go" is not an excused absence. Students/parents must notify me prior to the program if their student is going to be absent. A reminder that you do NOT have to have done Honors Chorus is order to do Choir in Junior High! If you love singing and have always wanted to learn more about singing technique choir is a perfect class for you. No experience needed! I encourage you all to consider this opportunity! If the digital learning days assignments sent you here, welcome! 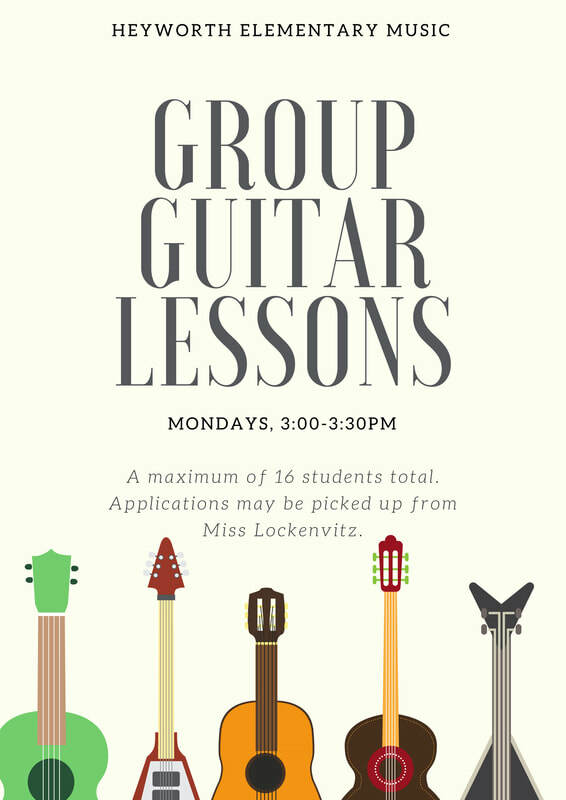 Please explore the website, and pay close attention to the "classroom music" and "general music" tabs. This is where your examples to your DLD assignments will be (for most of you!) I also have some fun websites to play on under my Music Fun! page (located under "home" drop down) which you are welcome to play on if you'd like! I will be available for conferences October 15th-18th from 3:30-5:30pm by appointment only. If you would like to set up a conference time, please email me! 4th, 5th, and 6th graders... interested? 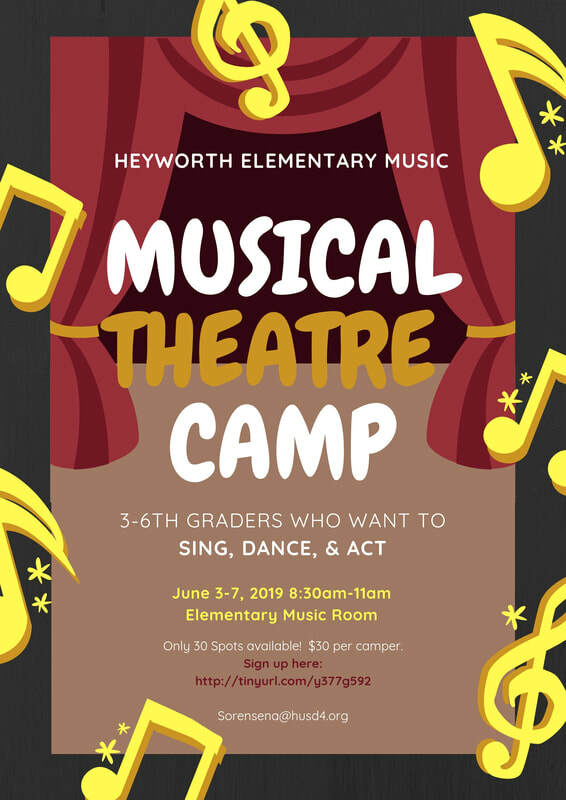 If your child is entering 3rd-6th grade at Heyworth Elementary they are eligible to sign up for Triple Threat Musical Theatre Camp. A 'Triple Threat' in the theatre world is someone who can sing, dance, and act very well. This camp is one week centered around these 3 activities ending with a final musical theatre performance!Camp is in the Music room and Stage area June 4-8, from 8am-11am. Please only sign up if your student is available each morning! All students will be given a special part, so the other kids will be counting on them.